A new measuring tool? Sign us up. 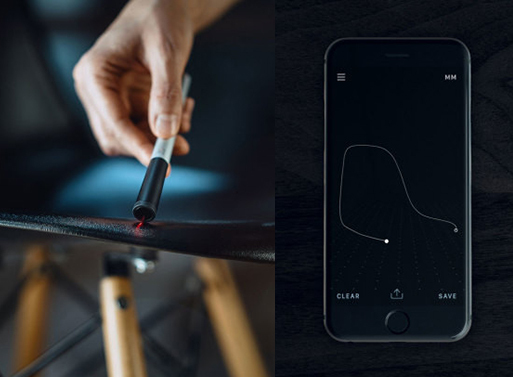 The InstruMMent 01 captures dimensions of any object and logs the measurements through your smartphone. One end of the pen/pencil/stylus has a black rubberized wheel that rolls over flat and curved surfaces. Sensors record the distance travelled (in 0.1 mm increments) with a laser to help you gauge exactly where you start and finish. Want to see how big your face is, or capture your exact profile? Roll the end from your forehead to your chin, then watch the line appear in the accompanying app. What about measuring a chair or a sculpture? Roll the end across and around, and ta-da! You’ll have the dimensions ready to share. 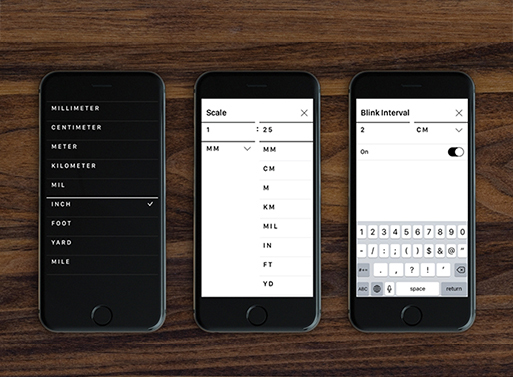 The app will translate scaled quantities as well (and you can import to CAD!). So fun. With Lite App: 01 rolls to capture dimensions of any object, then logs, converts and shares through the smartphone. With Pro App: 01 rolls to capture 3D curves of any object, you share via smartphone, download to key CAD software.